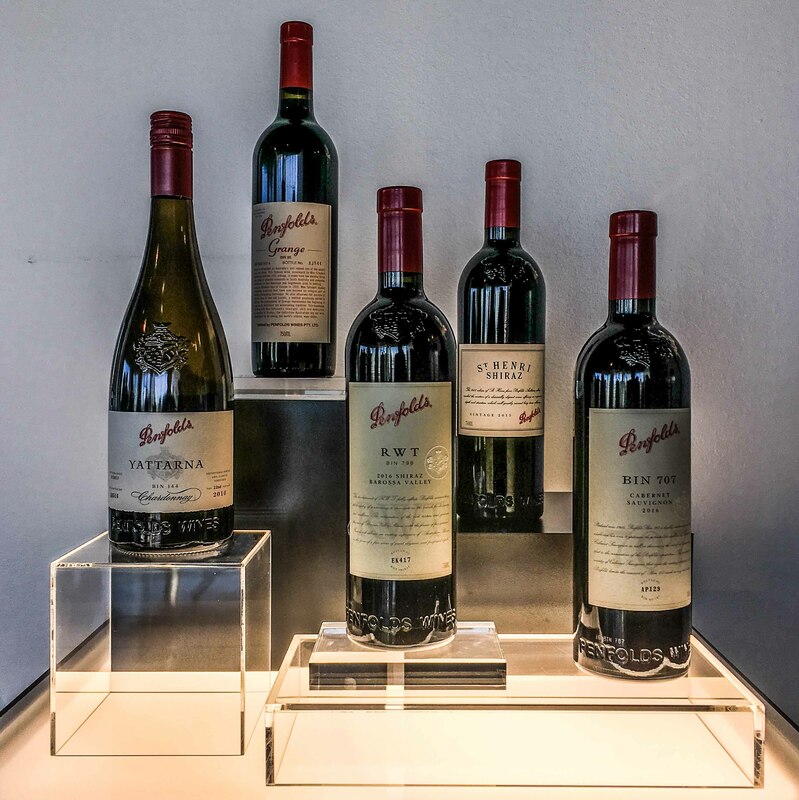 Australia’s most iconic brand, Penfolds, hosted the annual release of their premium wines in New York City in mid-October. The event, attended by media and buyers from across the world, was the first worldwide showing of the company’s latest top bottlings, including Bin 707 Cabernet Sauvignon, St. Henri Shiraz and of course, Grange. The tasting was led by charismatic chief winemaker Peter Gago, a fine ambassador not just for Penfolds, but the Australian wine industry as a whole. 2018 marks Gago’s 17th year with the company, which was founded in 1844, the same year as Krug champagne (in fact, a couple of months earlier than Krug, Gago believes). It has been several years since I attended the Penfolds release, so I was particularly curious to see how the philosophy shift that has rocked the Australian establishment over the last decade might have infiltrated one of Australia’s oldest wineries. Followers of Australian wine will be familiar with the recent change in emphasis from large, multi-regional blends designed to fit a market and a price, which skyrocketed Australia to export success in the 1990s and early 2000s, to ever-smaller, region, sub-region and single vineyard-focused wine with distinctive personality, take it or leave it, to say nothing of a burgeoning natural wine seen and the jettisoning of new oak barrels everywhere. The evolution at home has been propelled by changing international market demands, as drinkers move on from cheap and cheerful to more serious and original. So, what has Penfolds done to deal with the altering landscape of world markets? Gago points to the St. Henri Shiraz as an example. “The original style of St. Henri was created in 1890s by a French chap. Penfolds resurrected the ‘recipe’ back in the early 1950s, and nothing has been changed since. The winemaking and style are exactly the same”. That this style, a regional blend aged exclusively in large old vats, always one of the most understated in the Penfolds premium range (Gago calls it the “antithesis of a show wine”), has survived intact through the era of big, bold, plush, oaky shiraz is a testament to the company’s long term vision, and hindsight. It’s a bonus that the St. Henri style is back in fashion, but that doesn’t mean that the RWT shiraz, a pure Barossa expression aged in new French oak, or the Kalimna Shiraz Bin 28, always aged in American oak, will follow suit. Each wine has its own style. Something for everyone. Gago points out another example. “There was a time, ten years ago, when every shiraz in Australia seemed to have viognier in it”. It’s a route that Penfolds never went down, despite the huge popularity of those perfumed wines. “I wanted to put a sticker on our wines stating that: ‘Warning, this shiraz contains no viognier’, he laughs. That doesn’t mean that nothing has changed, however. “We have moved a little with the times,” Gago reveals. “We’ve introduced some odd varieties like sangiovese and tempranillo, and pinot noir already some time ago. We have had to deal with climate change as well.” He makes the point that every business needs to adjust a little to the times, to deal with both market developments, as well as to temper things are largely beyond one’s control, like the weather. That’s how a company survives nearly two centuries. If there’s anywhere within the portfolio where the style appears to have been tweaked to match current demands, it’s with the whites, and especially chardonnay. While the Bin 51 Eden Valley Riesling has remained constant and laser sharp, wines like the Bin 311 Chardonnay, Yattarna and Chardonnay Reserve (Nº 17 is the current release) have certainly tightened up, moving towards a less oaky, higher acid, more flint-inflected style. The changing fruit sources for these blends tells a good part of the story, shifting predominantly to Australia’s coolest regions like Tumbarumba, the Adelaide Hills, and Tasmania. The results are excellent. Read on for reviews of the top wines, many of which will be reaching Canada shortly. Check for availability on WineAlign, or directly with Mark Anthony Wines & Spirits. Very pale. Fresh, tight, lime-driven in the classic Eden style. Very dry, high acid, but with depth and excellent length. Proper, tightly chiseled. This should drink beautifully into the late ‘20s. The source for Bin 311 changes from year to year in order to maintain a house style, but this vintage marks the first time that it has been a multi-region blend, in this case the Adelaide Hills, Tasmania and Tumbarumba, some of Oz’s cooler corners. This, as in the past, is always aged in French wood, 225l. Very pale colour (“Hard to see which one on the table is the riesling and which is the barrel-aged chardonnay,” comments Gago). Lean, low wood impact. Crunchy and fresh, all limey-citrus. Open and very minor lees influence. Really pretty and highly drinkable, fresh and tight. pH 3.17 12.5%. A blend of Barossa Valley, McLaren Vale, Padthaway, Upper Adelaide, and Wrattonbully. 12 months in seasoned American oak. Ripe and plummy on the nose, sweet spice. The palate is full, rich and plush, with some sweet wood caramel and loads of black fruit. Tannins are moderate and firm, but polished. Friendly. Best after 2022. 14.5% 3.64 pH. 1990 marked the 1st vintage of the Bin 407, a multi-region blend, in this case from Coonawarra, McLaren Vale, Barossa Valley, Wrattonbully, and Padthaway. It’s aged in both French (25% new 300l) and American wood (9% new). This vintage clocks in at 14.4%, even if the aim is generally closer to 13.5%, but Gago is looking to avoid the occasionally green, or sweet-sour flavours that underripe cabernet can exhibit. The nose is engaging, offering rich, dark fruit with subtle dark chocolate accents and a touch of mint. The palate meanwhile is medium-full, surprisingly lean and firm despite the highish alcohol; tannins are, like with all Penfolds reds, polished but present, making this surely age-worthy. Best after 2020, or hold into the early ‘30s. 51% cabernet 49% Shiraz. This is energetic and vibrant, with surprisingly crunchy acids. Tannins are still a bit jagged – this is a long way from prime drinking – but I suspect this will integrate nicely in time. Wood is marked but should also integrate, cellar until the early-mid ‘20s, or hold into the late ‘30s+. Really fine and solid wine. A blend this year of McLaren Vale, Robe, The Peninsulas, Barossa Valley, and Wrattonbully, aged, as always, in large, old wooden vats. Subtle, quiet nose, but the palate is rich, dripping with black fruit, ripe but fresh (despite 14.5% alcohol). It’s not particularly floral on the nose, but violets emerge on the palate, an attractive feature. Tannins are fine grained but abundant. Very good length. Balanced, fresh, stately, elegant. A timeless classic. Best 2015-2040. RWT was originally created as a foil for Grange, a “contemporary alternative”, always a single region, and aged only in French oak, 300l (72% new in this vintage). It’s more classic in the Barossa sense, ripe and bold, certainly more forward and fruity than the St. Henri, though not over into the jammy spectrum – this remains poised and fresh. Length and depth are good, but not outstanding – give this some time to weave more depth and complexity into the ensemble. 100% cabernet, 100% new French hogshead. This is really lovely, balanced, lively and fruity; wood is worn with subtlety and class. Ripe, mostly dark, no green flavours, but no jam either. Excellent length. Classy wine. Best from 2024, or hold another couple of decades beyond that. A blend of Coonawarra, McLaren Vale, Barossa Valey, Adelaide Hills, aged 20 months in New American oak hosgheads. This wine is really only worth drinking with age in my view; needs time to absorb the American oak. It’s of course still showing lots of coconut, sandalwood – American oak character on the nose, but as with all 707s, comes alive in time. It certainly has depth and stuffing to evolve positively. Best after 2026. Barossa Valley (63%), McLaren Vale, Wrattonbully (included in Grange for the first time), Coonawarra, and Clare Valley. 20 months in new American Oak hogshead. 14.5%. A very accessible vintage, at the more hedonistic end of the spectrum, like the 2004, for example. I don’t find this over the top, though it’s certainly engaging up front, bold but not overtly flashy. Tannins are broad and firm, big, and long-chained; there’s plenty of stuffing to ensure long-term ageing. Excellent length and depth. This vintage will please widely no doubt. Best after 2024.